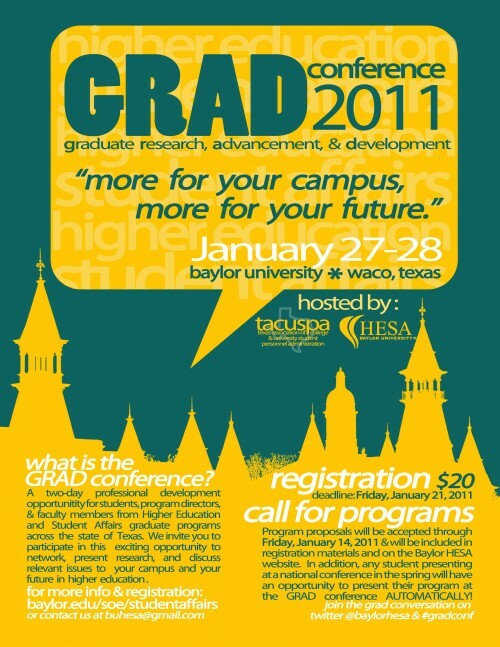 ATTEND and/or PRESENT at the Baylor Graduate Research, Advancement, and Development Conference on January 27-28, 2011. This conference is sponsored by TACUSPA. What is the GRAD Conference? - A two-day professional development opportunity for students, program directors, and faculty members from Higher Education and Student Affairs graduate programs across the state of Texas. We invite you to participate in this exciting opportunity to network, present research, and discuss relevant issues to your campus and your future in higher education. The registration for this conference is ONLY $20.00 and the registration deadline is Friday, January 21, 2011. - Program proposals will be accepted through Friday, January 14, 2011 and will be included in registration materials and on the Baylor HESA website. In addition, any student presenting at a national conference in the spring will have an opportunity to present their program at the GRAD conference AUTOMATICALLY. 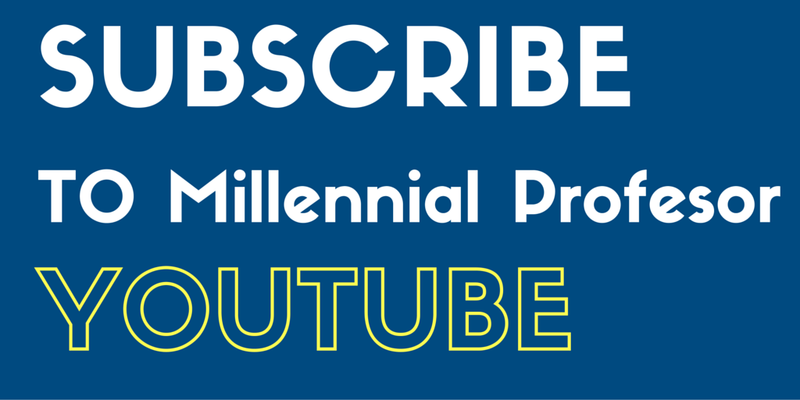 - Please contact buhesa@gmail.com or click this link - http://www.baylor.edu/soe/studentaffairs. You can also join the GRAD conversation on Twitter @baylorhesa and #gradconf.